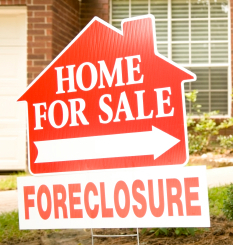 There are several options available to you when you are facing Foreclosure in Indiana. I encourage home owners to speak first to their lender about pursuing their options. The first thing you’ll want to understand is that time is your enemy! The longer you wait, the harder the process becomes for you. Conversely, by acting quickly, you may have more options. Secondly, communication with the lender is vital. You cannot ignore the lender under any circumstances. In fact, notifying the lender there will be a problem before a payment is missed is very desirable. Here are some brief explanations of the various options available to you. These are meant to be a general overview only, and are not the last word by any means. These include a repayment plan or forbearance, loan modification, refinancing, or second mortgage/line of credit. They are generally viable if the homeowner has suffered a temporary financial setback and can now afford to stay in their home. A short sale is when the lender will allow you to sell (or refinance) your home for less than is owed on it, and forgives the rest of the debt. These usually come into play when there is little to no equity in the home. There may be tax consequences to a short sale. Generally a private loan; this will likely be at a higher interest rate, but it may work well if the cost is worth retaining the equity in your home. Lenders will generally work with you if you want to sell your home when facing foreclosure. They will almost always require it to be listed with a Realtor and on the MLS. If there is not enough time, you can seek a quick sale from an investor. This will always be less than full value, but can save you from having a foreclosure on your credit. The homeowner offers to simply give the lender the deed to the home in lieu of foreclosure. This will temporarily stop the foreclosure process. However, there are many legal ramifications to bankruptcy. You should seek a competent attorney.